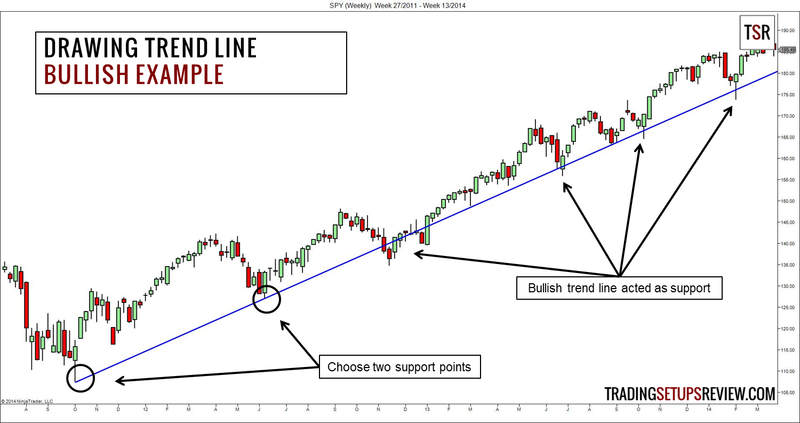 The trend line is one of the most powerful tool for technical traders, which describes most short-term swing traders. Why do I say that a trend line is a powerful tool? The power of a trend line does not come from the profits it generates for its users. Rather, it comes from the many facets hidden within its simplicity. Just add one line to your charts. And you clarify trend, momentum, support/resistance, and entry timing. Basic geometry dictates that we need two points to draw a line. This is exactly what we need to do to draw a trend line. The more recent one must be at a higher price. Project the resulting line to the right. This is a bullish trend line. The more recent one must be at a lower price. This is a bearish trend line. From the two examples above, you can see that there are a dozen ways to select the two points. The bullish example used two major swing pivot lows for drawing the trend line. The bearish example used two consecutive bar highs to draw the downwards sloping line. Which is the right way to draw a trend line? Both trend lines are valid and much depends on how you interpret them. In most cases, if you choose two significant S/R, the resulting trend line bears greater weight over a longer time. If you select two minor S/R (like in the bearish example above), the trend line is more effective within a shorter period. 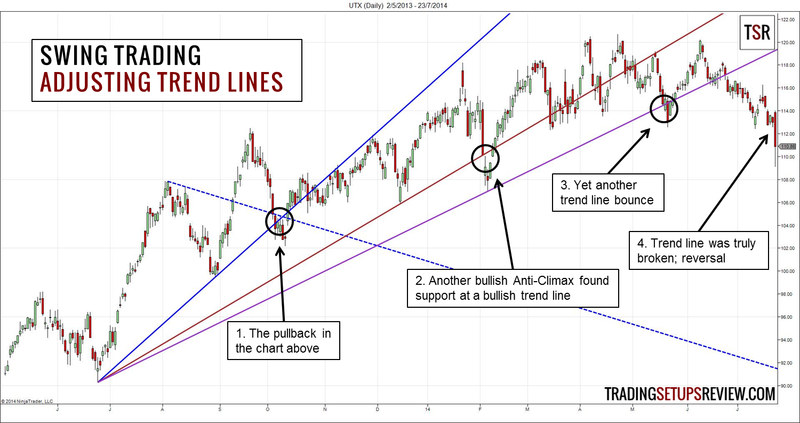 Why is a Trend Line Useful for Swing Trading? Swing traders expect to profit from a market swing. One of the most popular game plan is to find stocks that are trending strongly and wait to enter on retracement. An example is the Holy Grail trading setup. Let’s see how a trend line is an all-in-one tool for swing traders looking for trend retracment trades. The direction of a trend line (whether it slopes up or down) shows the expected trend. It tells the swing trader if the market is trending up or down. The steepness of a trend line shows the strength of the trend. Shallow trend lines show possible sideways action. Stay out of the market or swing for a more conservative target. Ultra-steep trend lines hint at a possible unsustainable trend. Look out for signs of reversal or at wait for a deeper retracement before entering. The trend line itself acts as a support/resistance offering a hot zone for trading setups. It offers swing traders a practical way to find retracement trades as the market pulls back to test a trend line. The break of a trend line hints at a possible reversal, especially when the break is strong and decisive. However, remember that in a trending market, most trend line breaks are false alarms. Fascinated by this jackknife tool? Let’s take a look it in action. We are using the daily chart of the United Technologies Corporation (UTX) for our trend line practice. With these two swing highs, we projected a bearish trend line. After falling for around one month, the market recovered and rose to make a new high. With the lowest low of this recent pullback and a preceding swing low, we drew a bullish trend line. The market tested the intersection of both trend lines with a bullish Anti-Climax pattern. With the broken bearish trend line and the recent bullish trend line as support, we had a great potential long swing trade. Swing traders who like quick trades can exit after the first three consecutive bullish bars. Traders who are more patient can target the last extreme high of the current bull trend. 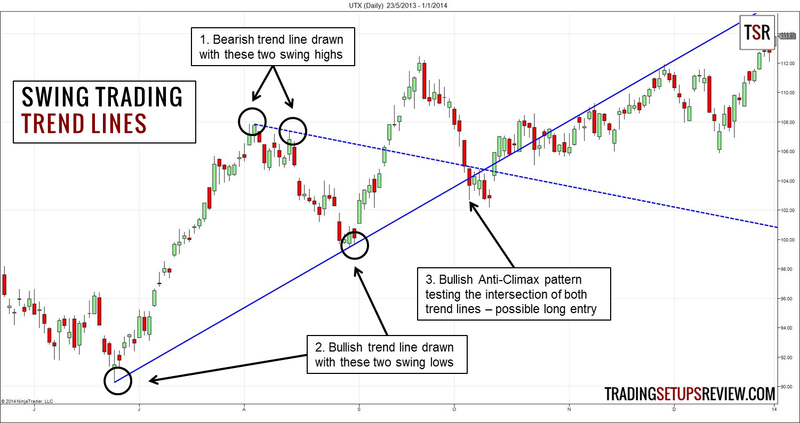 The UTX chart below shows how trend line analysis continued to offer swing trading opportunities. This area corresponds to the close-up example above. As the market moved higher, we adjusted the trend line (brown) which was again tested by a bullish Anti-Climax pattern. The third trend line we drew (purple) offered support for the market again. Note that each trend line was shallower than the one before, showing a weakening trend. Despite a brief upswing, the market fell down through the purple trend line. The decisive and sustained downswing signalled a trend reversal. You might be thinking that the examples above are textbook examples. I must have looked at the chart ex-post and drawn the trend lines in such a way that they seem to work. You are right, partly. They are textbook examples. I needed textbook examples to show you how trend lines work, in theory. Drawing a trend line is a simple method for swing traders to track their favourite stocks or currency pairs. However, many traders think that trend lines seem perfect in hindsight but are useless in real trading. To avoid that, do not draw perfect trend lines. Instead, draw consistent trend lines. 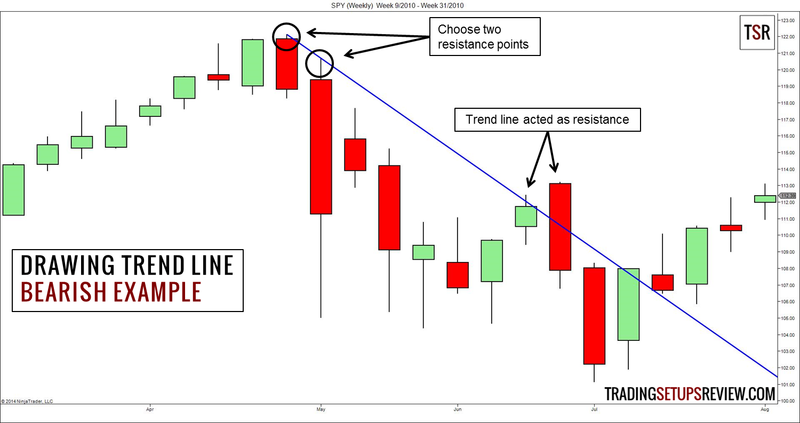 Develop a method to draw trend lines. Always draw your trend lines according to the same principles. Then, you can draw trend lines confidently in real-time. Your trend lines might not be perfect, but at least you can apply this powerful tool consistently. And you will realise, that consistency is the key for trading success. 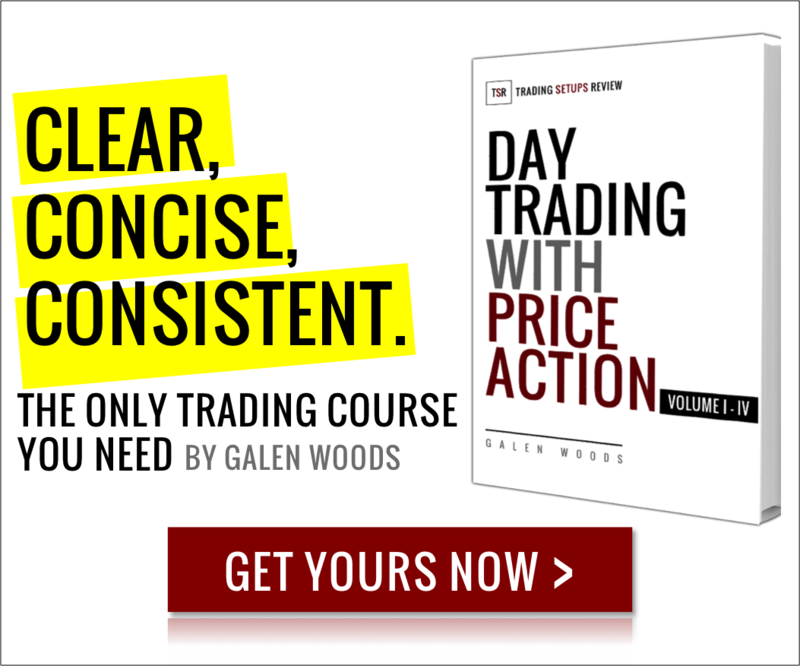 Overwhelmed by complicated trading strategies? Pick up a simple and versatile price pattern now.